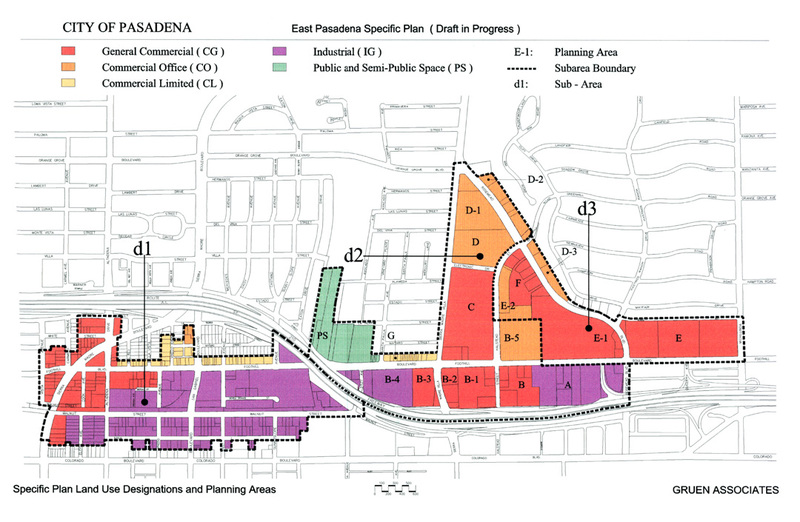 Gruen Associates prepared a Specific Plan for three study areas of East Pasadena. 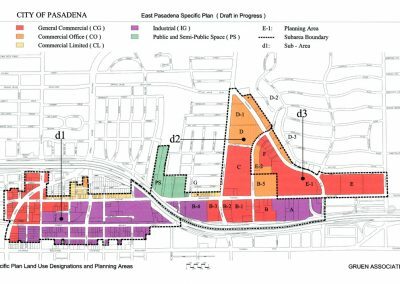 One study area was primarily industrial and the other two areas were adjacent to a planned Sierra Madre Villa transit station and were mixed-use. Development standards and design guidelines were developed for the public and private realm, working closely with a citizen advisory group and staff. Standards and guidelines for the Gold Line terminus station and transit-oriented development were a part of the Specific Plan. The Los Angeles to Pasadena Gold Line’s Sierra Madre Villa station, its parking structure, renovation of the historic structure and a residential development were completed following these guidelines.